The adverse effects associated with plastic products that contain Bisphenol A (BPA) have been well-documented for decades, going back to a team that first discovered abnormalities in the eggs of animals who were exposed to the plastic ingredient. Now, in what may be a fitting discovery, the same team that first discovered this danger says that alternatives to BPA aren’t much safer. The team, hailing from Washington State University, reported feeling “a strange déjà vu experience in our laboratory” when they came to their conclusions. The team states that efforts by regulators to provide a BPA alternative have been unsuccessful and pose a danger to consumers. “Rapid production of structural variants of BPA and other EDCs circumvents efforts to eliminate dangerous chemicals, exacerbates the regulatory burden of safety assessment, and increases environmental contamination,” they said. The team came to their latest conclusions about BPA alternatives after studying how the products affected mice. After testing several BPA alternatives, the researchers found that these new products negatively affected the reproductive system. The team believes that the finding could mean trouble for future generations of consumers whose parents and grandparents were exposed to these products. “These findings add to growing evidence of the biological risks posed by this class of chemicals,” the researchers said. 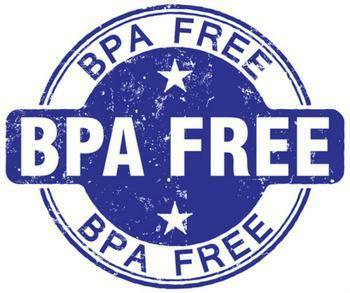 This isn’t the first time that BPA alternatives have been subjected to scrutiny. Studies dating back several years, including one conducted at UCLA, have asserted that these products are not completely risk-free. More recently, researchers have cited evidence suggesting that some of BPS products promoted growth of cancer cells. This has led some experts to caution consumers away from consuming foods or drinks that are packaged in products containing BPA or BPS. The full study has been published in the journal Current Biology.